This Friesian horse has chosen a different arena in which to compete. It is not your customary sandy-footed fenced space with obstacles and letters. Instead, this arena is full of energetic colors ready to be applied to canvas. The equipment is not made of leather and metal but rather wood and canvas. Justin uses his equine energy to create abstract expressionist paintings. 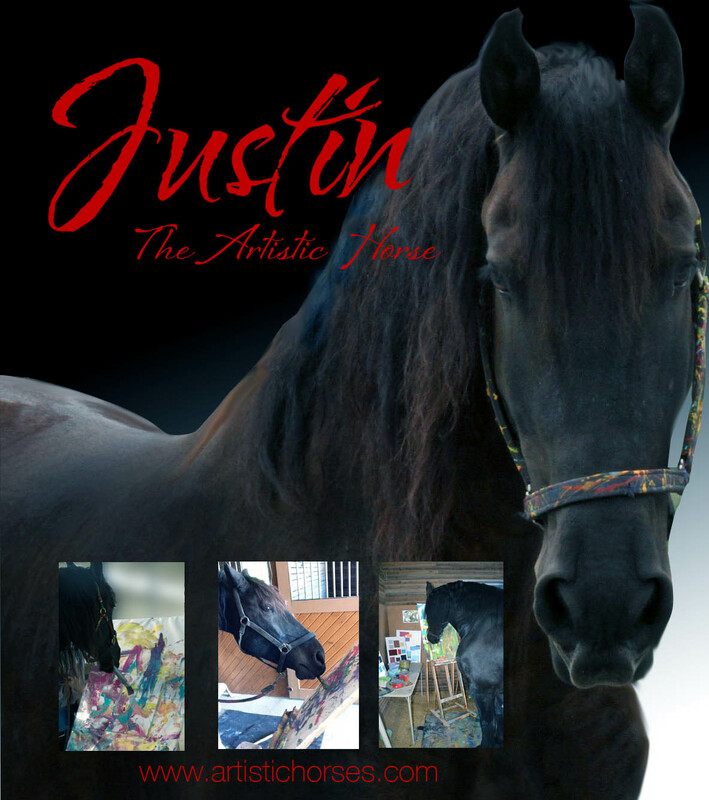 Horses have been communicating with energy for millions of years so it’s not surprising that Justin can direct his energy with paint and a brush in collaboration with his assistant, Adonna, to create spontaneous works of art. The paintings are beautiful. Does he choose his colors. How many do you put out for him to work with at a time? How did you learn to give him this opportunity? Very interesting.